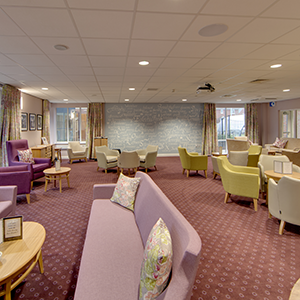 Berrington Court offers retirement living that you can rent which is unique within the Wyre Forest area. When you move into your new home, you will hold a tenancy with The Community Housing Group and can enjoy the security of a well-established and award winning landlord. You will be responsible for rent and service charges which will be explained to you before you take up an offer of an apartment. You may be entitled to some help with your rent through Housing Benefit if you meet the criteria, and we can give you some advice about this if you need it. If you have capital, you will not automatically be excluded from applying for an apartment. Exceptions may be made if your care or support needs can not be met through any other means. Please talk to us about the options available if this applies to you. All applications will go through an allocations process. If you receive care, or are currently undergoing assessments for care, you will need to see our care team who will carry out an assessment with you to ensure we can meet your needs.